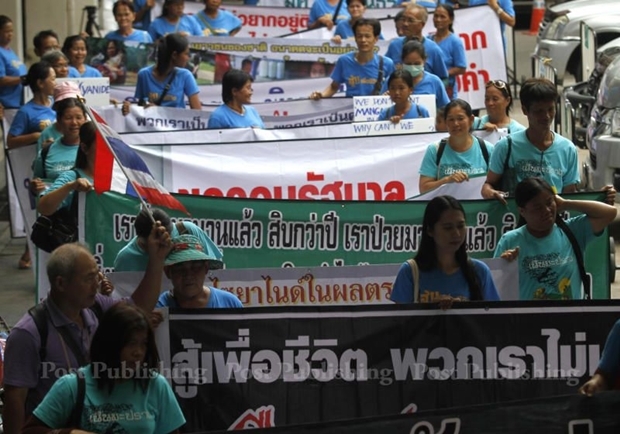 Kingsgate’s latest efforts came on Monday in the form of a letter forwarded to Thai Prime Minister Prayut Chan-o-cha seeking to negotiate the mine’s future or face an international mediation tribunal. "(The Thai government) simply have just refused to meet and say there’s nothing to talk about," Kingsgate chairman, Ross Smyth-Kirk told AAP. "So the only way forward is just to try and get some kind of settlement and take action under the Thai Australia Free Trade Agreement," Smyth-Kirk said. Kingsgate’s Thai mining offshoot Akara Resources, 280 kilometres north of Bangkok at Chatreem, began operations in 2001 but in May last year the Thai cabinet ordered all gold mines in the country shut down. The decision followed claims by environmentalists of heavy metal pollution, a charge Kingsgate has repeatedly denied. The government extended the mine’s operating licences until December 31, when the operations were mothballed and more than 1000 jobs lost. The Australia-Thailand FTA came into effect in 2005 and included sections which offer protection to investors, including a path to joint international consultations. In a company statement lodged with the Australian Securities Exchange, Kingsgate CEO Greg Foulis said the miner "wishes to engage in consultations as required under the FTA. "Over the past 11 months, Kingsgate has made sustained good faith efforts to engage with the Thai government in relation to the measures against the Chatree Mine that ultimately resulted in its premature closure on December 31, 2016," he said. Kingsgate had "reached a position where it believes that the only option to resolve the situation is to exercise its rights as a protected Australian investor under the FTA," he said. Forwarding the letter to Prayut marked a first step in efforts to initiate negotiations. "And if that doesn’t work then we’ve put them on notice we will go to a (international) tribunal," Smyth-Kirk said. The tribunal’s makeup would include a representative from the company, one from the government and an independent arbitrator agreed to by both, with the talks likely to happen in Singapore. Kingsgate hopes consultations under the FTA may result in an outcome within the three months. In December the Thai legislative assembly passed a new Mining Bill that replaced laws dating back to 1966 covering royalty payments and mining operations. Prayut has previously urged Kingsgate not to go ahead with legal action.